I wanted to share another great idea from writingfix.com on sentence fluency as this is currently our writing trait focus the next few months. My grade three students drafted a paragraph on a special time they shared with an adult; mom, dad, aunt, uncle, or grandparent. 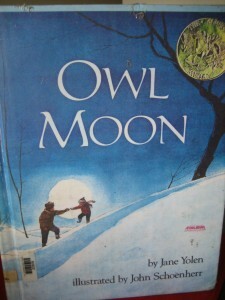 I then shared the story Owl Moon by Jane Yolen which describes a special time between a young girl and her father as they go owling. The students and I listened closely to the first word of each sentence and talk about what we noticed. 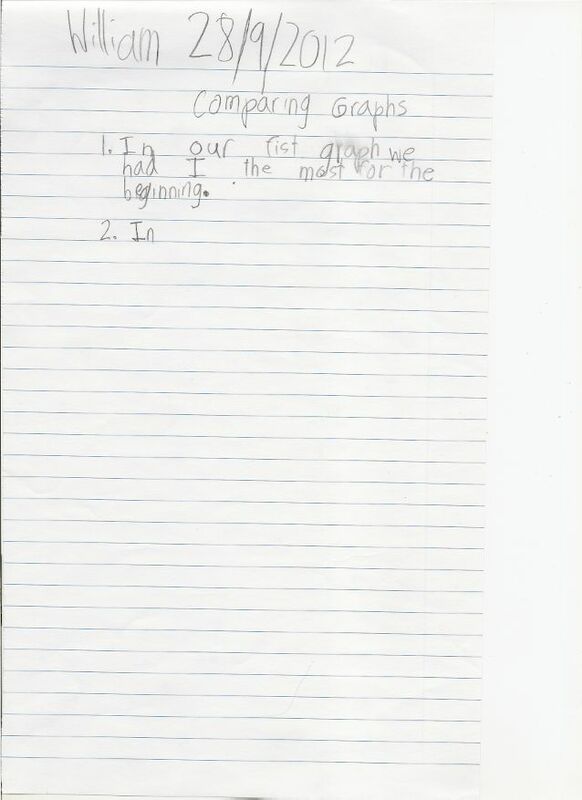 I then asked the students to go back to their draft and circle the first word of each sentence. As we are also currently working with Data Handling in math I was pleased to hear the students identify that we were collecting data! In pairs we then took our data to the computer and created bar graphs of our first words using Kids Zone Create a Graph. The students discussed what they learned from their bar graphs. I then copied a few pages out of Yolen’s book for students to work with. We circled the first word of each sentence and we also counted the words in each sentence. Yolen’s book is a great example of varied sentence lengths as some sentences have 20 words and others have 5. 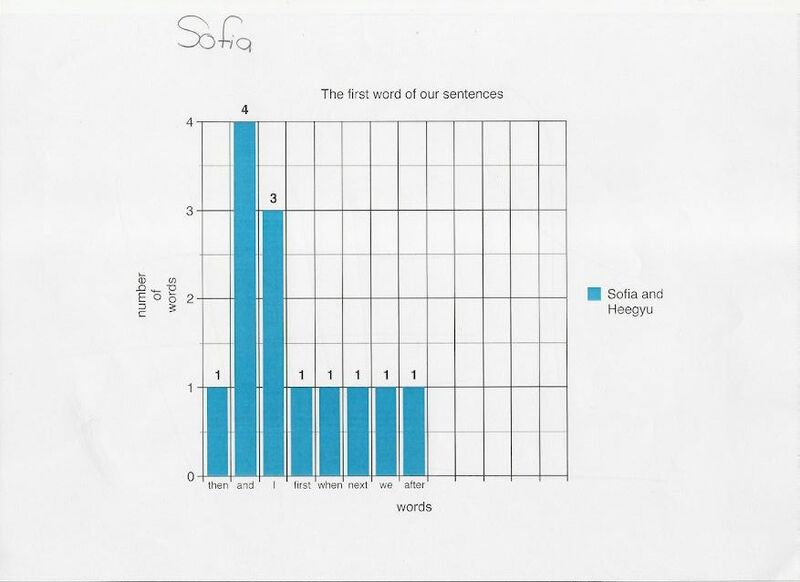 This was a valuable introduction to our inquiry into sentence fluency. It even allowed us as a class to discuss starting sentences with ‘And’. 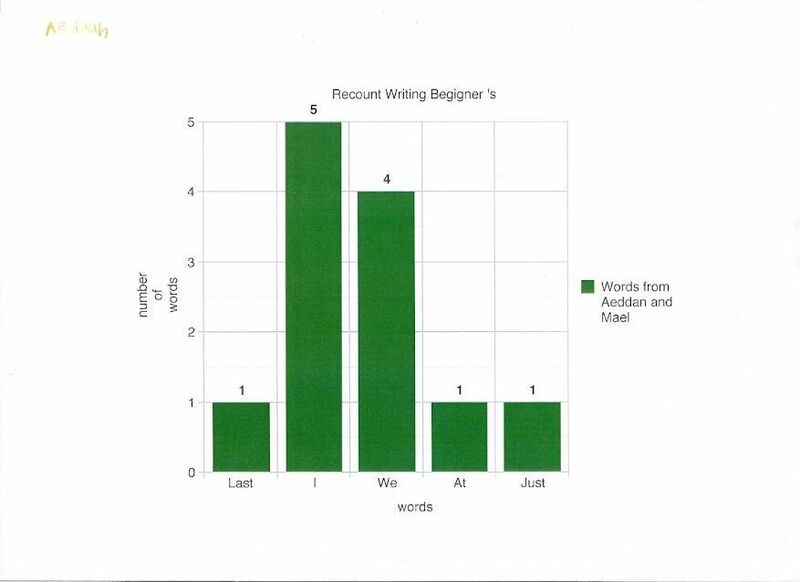 Some of my students said you should never do this and others disagreed because they found out that even published authors like Yolen start some sentences with ‘And’. What do you and your students think? 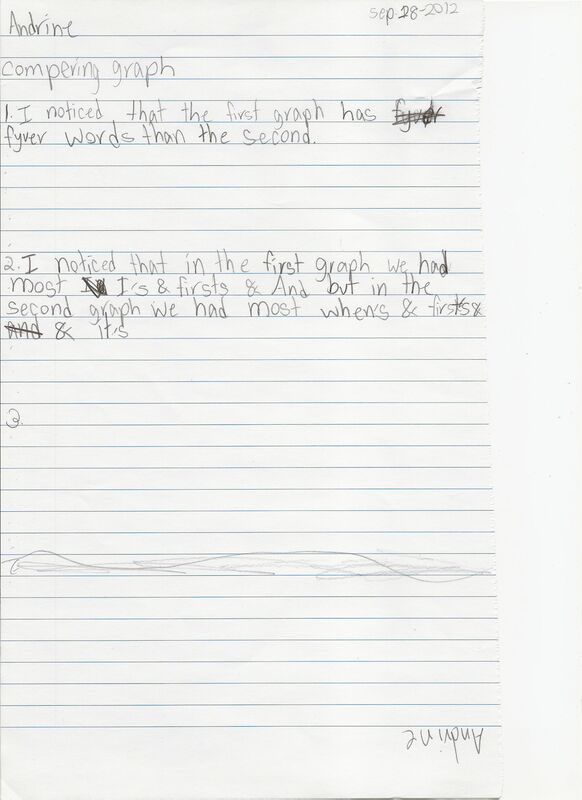 This entry was posted in integration, international teaching, Math, technology, Uncategorized, writing and tagged 6 +1 writing traits, graphing, sentence fluency. Bookmark the permalink. Thanks for the read Megan and Tim! Let me know how it goes if you have a go Tim.